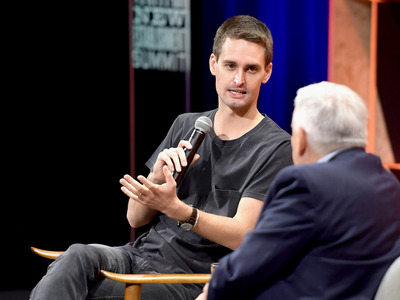 Snap CEO Evan Spiegel recently named a new chief business officer for his struggling company before quickly changing his mind and naming someone else, according to a report from Bloomberg. Spiegel told Kristen O’Hara, whom the company hired in September to be its vice president of US sales, that she would be promoted to the new role and informed the people who reported to her, according to the report. Two days later, however, he withdrew the offer and named Jeremi Gorman, who headed Amazon’s advertising sales effort, to the position instead. Perhaps not surprisingly, after having the rug pulled out from under her, O’Hara resigned from Snap. Click here to read more about Snap’s leadership change. Snap also launched in shows in the UK, partnering with 17 media companies to create original content. Facebook’s biggest critic on Wall Street explains why he’s convinced the company is going to keep sinking.Brian Wieser, an analyst at Pivotal Research Group, has been arguing for years that the company’s stock is overvalued, and recent scandals and crises have borne out his predictions. Google employees are reportedly planning a walkout this week in protest of the recent sexual misconduct revelations. The “women’s walk” protest, which more than 200 Google employees are reportedly planning to participate in, originated from an internal forum where workers shared their frustration with the tech giant.